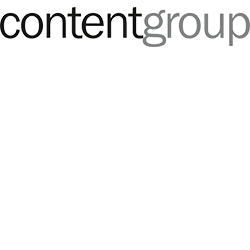 contentgroup's mission is to help Government and civil society organisations to strengthen communities' and improve the well-being of citizens through effective content communication. Content communication is a repeatable and measurable business process that relies on the creation, curation and distribution of useful, relevant and consistent content. The purpose of the content is to engage and inform a specific audience in order to achieve a desired citizen and or stakeholder action. We have been telling the stories of our clients for the past 20 years to assist them in achieving their business objectives. Central to the effectiveness of any Defence program will be communication. Citizens and stakeholders engaged with Defence need to understand their policies, programs and regulations. Businesses need to understand the opportunity to work with Defence. If Defence is able to communicate in a simple, clear, effective and compelling manner, it will take a big step forward to achieving objectives. We can help Defence organisations to tell their stories so that they will achieve their business objectives. We have an evidence based approach that is proven to get results. We are experienced in working with government and understand the opportunities and constraints of developing and implementing successful content communication programs. We are Australia’s leading public sector content communication agency. We can manage all steps of a successful content communication program. We are based in Canberra and can respond to requests at short notice. We have built our reputation on getting results for our customers.